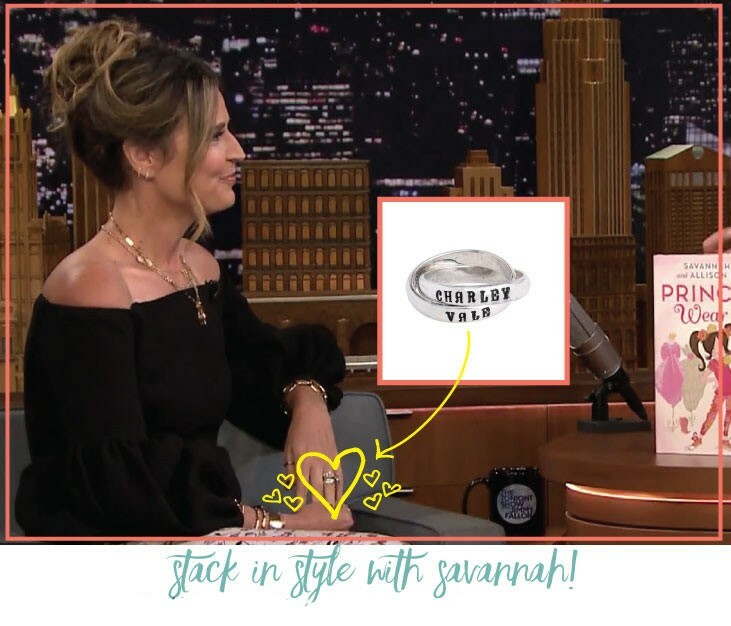 Savannah Guthrie was spotted last week wearing her Mother's Ring stacked with her wedding ring while promoting her new book Princesses Wear Pants. We want you to fall in love with it just like she did. Shop our name rings now. Today Show's Hoda & Kathie Lee pick the Beloved Bangle Bracelet as one of their Mother's Day Favorite things, 2014! The episode aired on 5/12/14. You too can have one of these awesome bangle bracelets ... personalize one today! 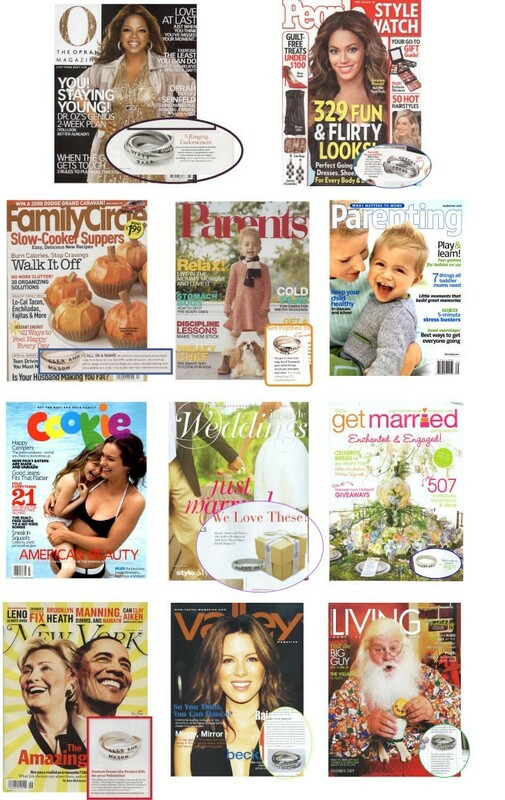 Nelle and Lizzy is one of Oprah's Favorite Things ~ Oprah gave our name rings a "Ringing Endorsement"! Celebrities who love their Nelle and Lizzy ring include Hoda & Kathie Lee Gifford from the Today Show, Nicole Kidman and Keith Urban, Heidi Klum and Seal, Oprah Winfrey, Gayle King, Savannah Guthrie, Natalie Morales, Minnie Driver, Courteney Cox, Angelina Jolie, Katie Holmes, Martha Stewart, Naomi Watts, Gwen Stefani, Sheryl Crow, Jennifer Lopez, Demi Moore, Nicole Richie, Reese Witherspoon, Denise Richards, Marcia Cross, Rachael Ray, Kelly Ripa, Nina Garcia, Tori Spelling and Dean McDermott, Amber Valletta, Robin Roberts, Lisa Rinna, Martha Stewart, and Bridgette Wilson-Sampras.